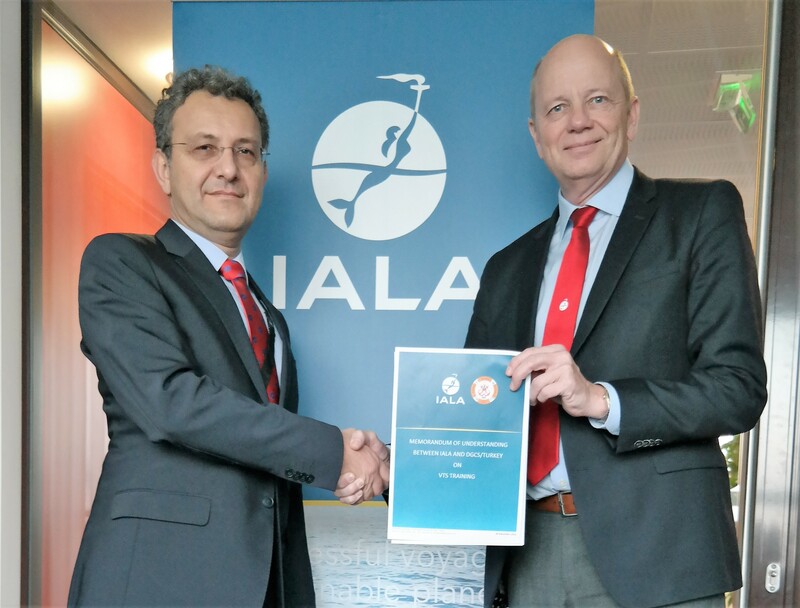 In December 2016 IALA signed a Memorandum of Understanding with the Directorate General of Coastal Safety (DGCS) in Turkey, providing IALA with access to their excellent conference and training fascilities in Istanbul for the World-Wide Academy and wider IALA events. In exchange, IALA will provide support to VTS and AtoN training activities in Turkey. Turkey is located in a geographically advantageous position which permits candidates from the region to participate in capacity building and training activities held in Turkey without, in many cases, the requirement for a visa. Through this MoU, IALA and DGCS have agreed to strengthen their co-operation on capacity building, education and training as well as the harmonisation of VTS and AtoN services, for the improvement of safety and efficiency of navigation and the protection of the marine environment. The conference and training facilities made available by Turkey include a conference centre in Istanbul (up to 400 people), two breakout rooms (10-30 people) as well as a permanent liaison officer. To support VTS training, Turkey has four certified VTS trainers. Technical visits can be arranged to an AtoN workshop environment, buoy tender vessel, coastal radio station, tug boat station, VTS centres and several historic Lighthouses, during conferences and training activities. IALA is very grateful for this support from Turkey.